Outside of US Soccer Development Academy, NPL-level play is the highest level of play possible for San Francisco teams. Our Senior Program teams have automatic-entry into NPL, for both boys and girls. The NPL is run by US Club Soccer and was created to elevate and change the competitive youth soccer landscape by extending developmental principles espoused by U.S. Soccer into more age groups and clubs. 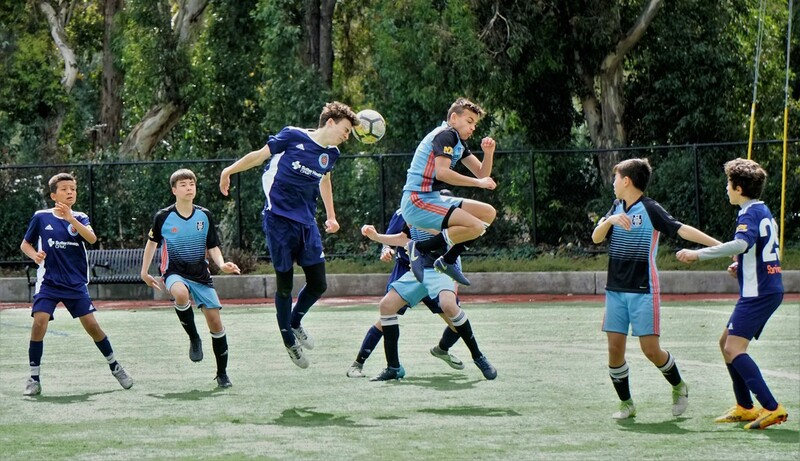 It links competition with player development and identification platforms, thus providing meaningful weekly competition culminating in the NPL Finals. a demonstrated quality of players produced. NPL follows an organized, division model that involves relegation and promotion from Norcal Premier's highest divisions. NPL "Champions League" features top finishers in northern California from the the top fall (NPL 1) divisions. Most NPL age-groups feature three divisions: NPL 1, NPL 2, and NPL 3 in fall and NPL Champions League, NPL 1, and NPL 2 in spring. In addition to competing at the highest levels of play, NPL players participate in 1-2 college NPL showcases annually (typically two and based on gender and age group). These northern California showcases allow SFEA players to be seen by college coaches. ​SFEA goes even further: We send our NPL teams to 1-2 additional and travel premier college showcases annually, greatly improving the opportunity for players to connect with interested college coaches from a wide part of the country. Watch SFEA Director of Coaching, Jim Millinder, on how parents can best support a talented player. WHICH ACADEMY TEAMS PLAY IN THE NPL?